Here's an area map. 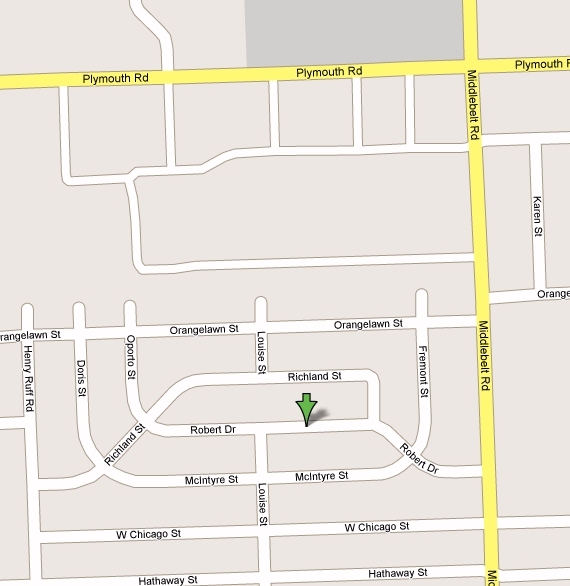 Our Address is 28718 Robert Dr. in Livonia, Michigan. Make sure you drive in off of Middlebelt otherwise it's kind of difficult to find your way to Robert Dr. from the West side of the subdivision. Here's a closeup map. 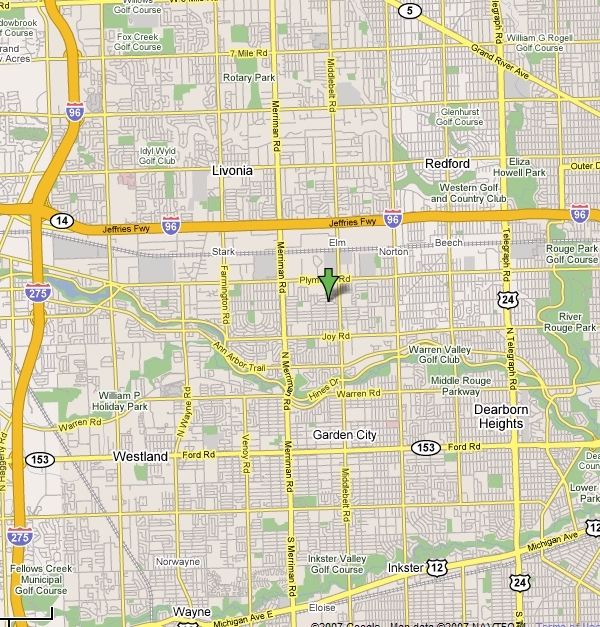 Although if you get close enough to need this map you can see the house, or at least the sky lighting up! !